The Muhle rose gold safety razors, are almost a piece of jewellery. Slightly higher in price than the R 89 but worth every penny. With a closed comb head this rather lovely middle aggressive razor, will off shave any morning growth. Or to plough off the hair of a weeks skiing holiday beard. 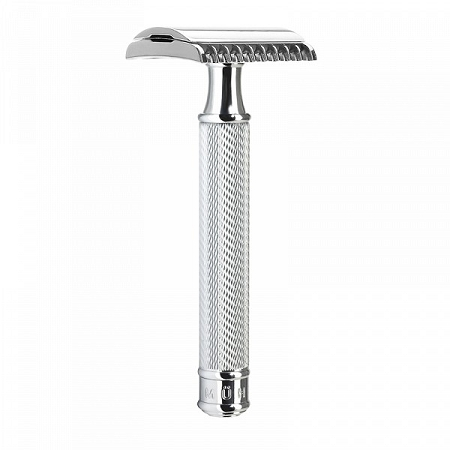 A traditional style razor which is 94 mm and 66 g. This chrome razor is lined with brass for a nice added weight. 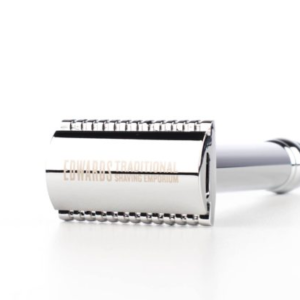 This safety razor is quite the gift, it comes with a free blade. 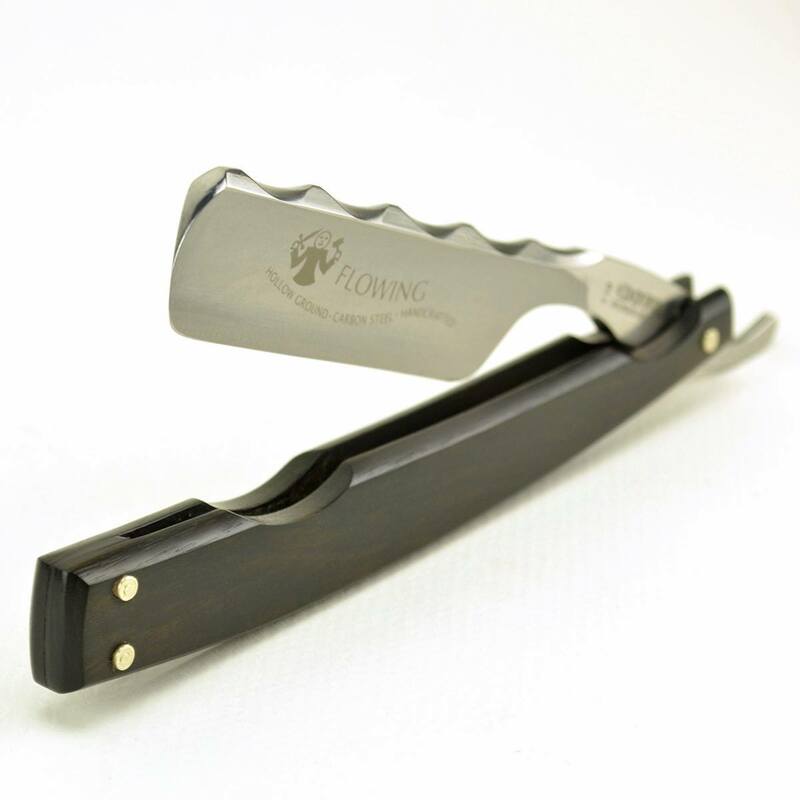 Although we recommend the same brand of D’E blades being Muhle. Which are perfect for the head as they have a firmness and a solid sharpness. Although we have a number of other blade brands on the site which you can experiment with if you have a personal preference. The shaving brush counterpart for the Muhle rose gold razor. Is the, rose gold silver tip brush. Which makes the powerful set for any bathroom. For your information we have attached a picture. Safety razors are a joy to use and once you have found a good technique you will prefer there efficiency to a cartridge razor. 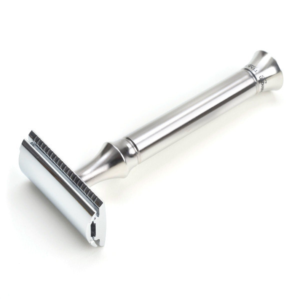 A good razor like the Muhle make, is a great start. But to guide you with a skill to use one, we have attached a blog post by myself. Which instructs you to shave well. Edward’s want to get you Muhle products as quick as poss, so we provide a next day free delivery service. Because you our customers are top priority for our business. Our repeat customers realise this also. We know a lot about shaving so if you have any questions and would like to bend our ears you are very welcome call us on our land line or use the contact form below.